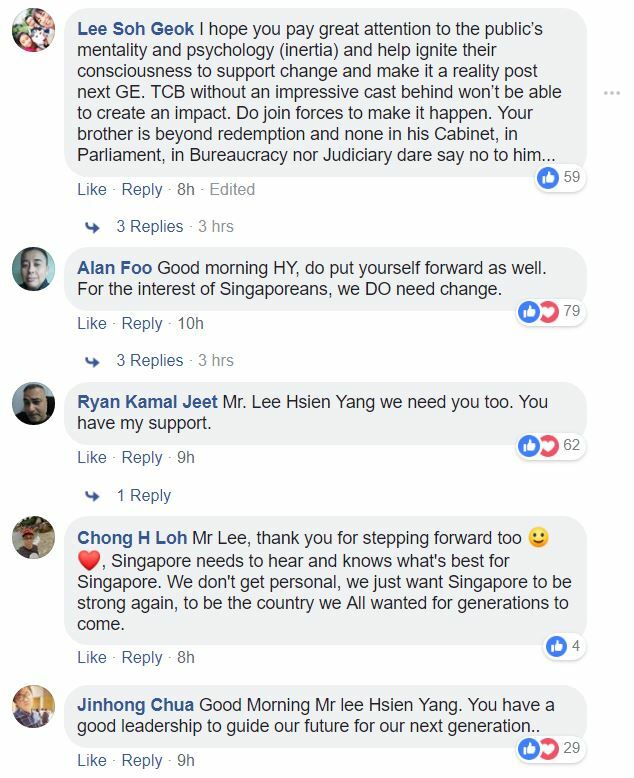 Calls for founding PM Lee Kuan Yew’s youngest son, Lee Hsien Yang, to join forces with Dr Tan Cheng Bock in the next General Election have intensified after Lee praised Dr Tan as the “leader Singapore deserves” in a recent Facebook post. 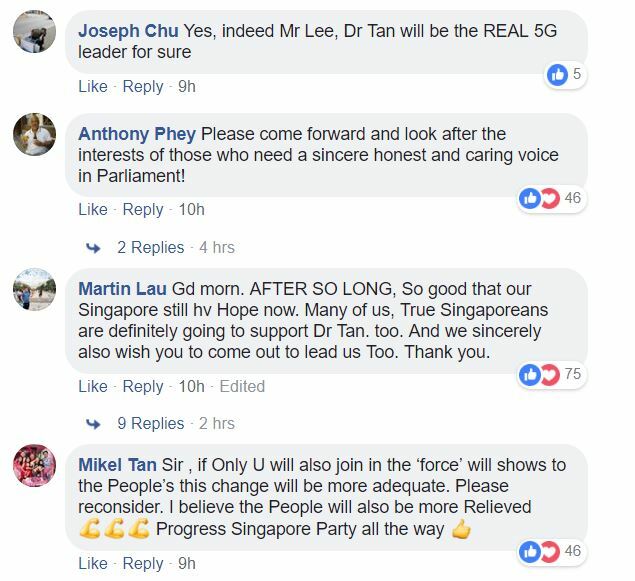 This morning, Lee congratulated Dr Tan and his new opposition party, the Progress Singapore Party. 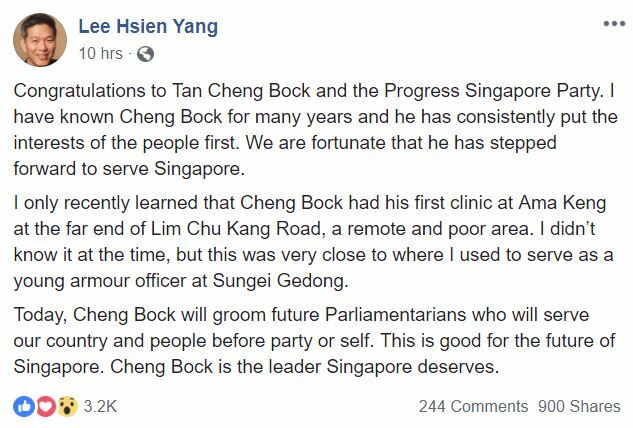 He added: “I have known Cheng Bock for many years and he has consistently put the interests of the people first. 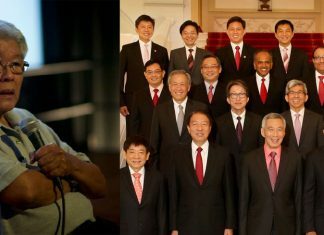 We are fortunate that he has stepped forward to serve Singapore. 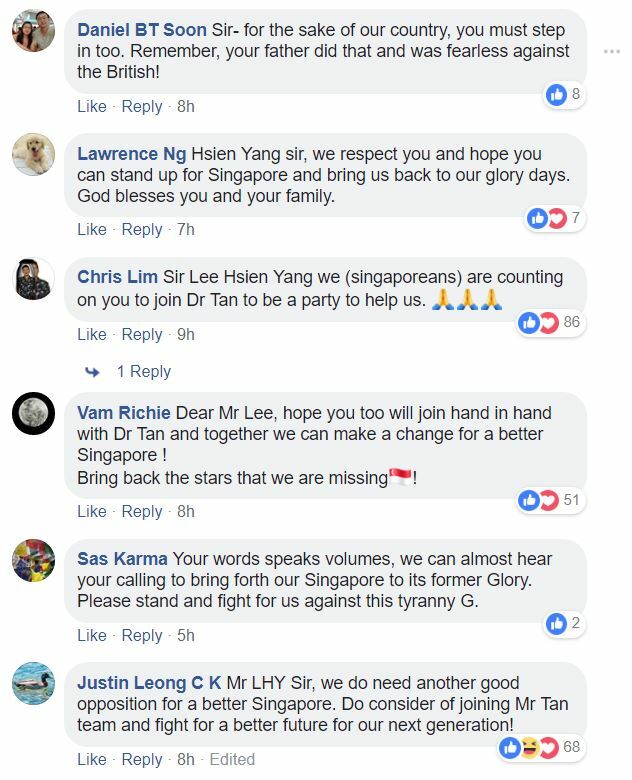 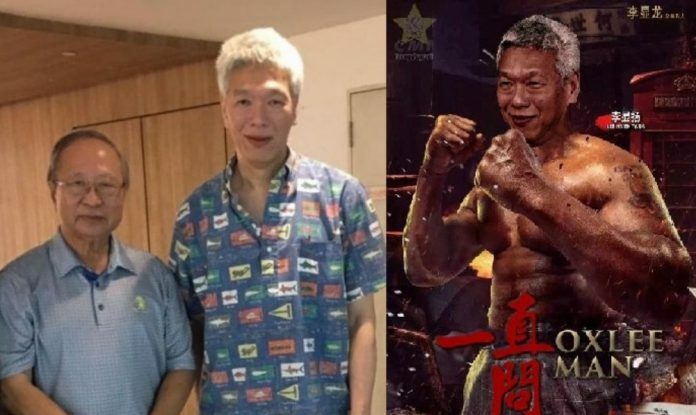 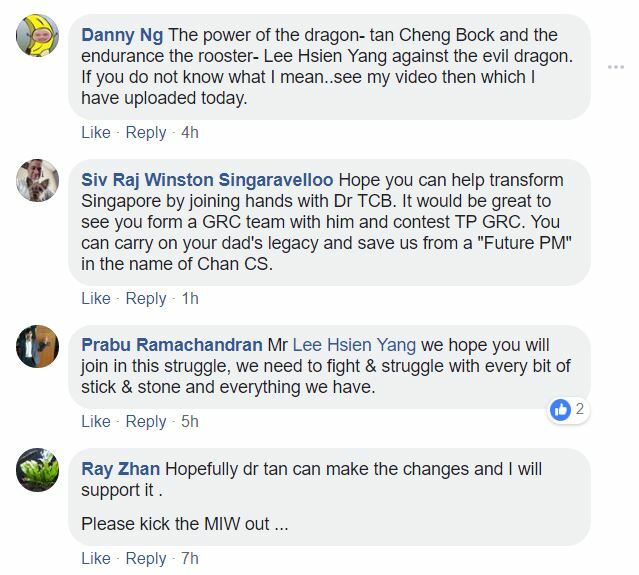 Calls for Lee and Dr Tan to join forces and defeat the ruling People’s Action Party – that is led by Lee’s elder brother, current Singapore Prime Minister Lee Hsien Loong – first emerged when the two met for breakfast in November, last year.